Two words that are synonymous amongst most investors is opportunity and risk. When the markets are surging everyone is hoping and praying for the stock or stocks they love to drop down to a price they were hoping but too scared to buy one month or 1 year ago. The odd thing is that two years ago, they were hoping for the same development, but on each occasion, they refused to act when opportunity gave them what they so desperately wanted. That is the Mass Mindset for you, it begs, it pleads for a chance, but when given a chance it does precisely what it was programmed to do the last time and the last time before that. One thing to keep in mind is that every bull market experiences one (very) strong correction and one cannot predict which correction will end up falling into this category. All bull markets experience this, Bitcoin experienced this and then it went on to surge to new highs, and when everyone thought that things would only get better, the bottom dropped out. When the bottom dropped out, it appeared that it was another buying opportunity, but what was different that time, the masses were not fearful when Bitcoin started to pull back, in fact, they embraced those pullbacks. Even today you still have individuals predicting that Bitcoin could end the year at 15,000 when 3,000 is closer to the truth. Bull markets always end on a note of euphoria, therefore until the crowd is ecstatic, the pullbacks ranging from mild to strong have to be viewed through a bullish lens unless the trend turns. We have yet to see the trend changes when the masses are in a state of disarray. 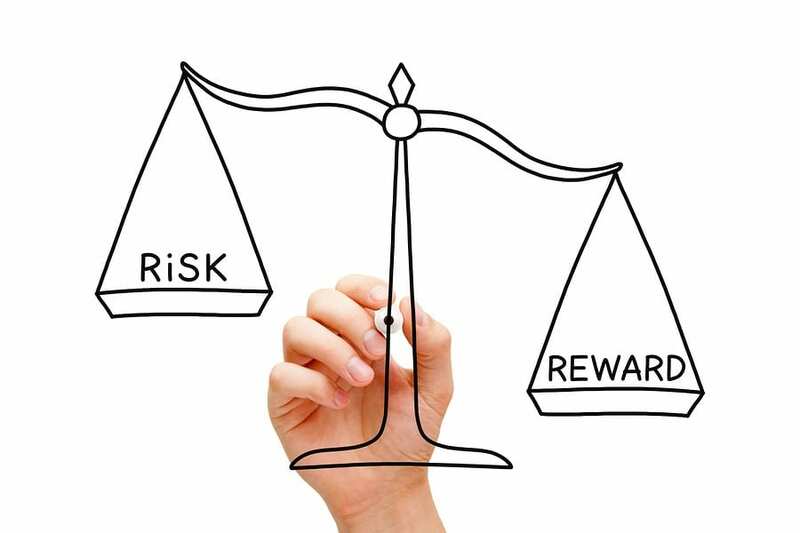 All investors talk about wanting to get into a low-risk opportunity. However, when do they start to obsess about risk when the market is tanking. Remember the Tulip Mania of the 17th century? What about the Stock Market crash of 1929 or the 1987 stock market crash. Let’s move a bit closer to the current timeline; the housing crash of 2008, the Bitcoin crash that took place earlier this year. To date, over $700 billion has been wiped from that sector. On what note (sentiment) did the bull get shot in every instance? In all instances, the crowd was ecstatic; they were sure the markets would go higher. It appears that the mass mindset has a problem when it comes to gauging comes to gauging opportunity and risk; it seems to confuse one for other. So we know that opportunity is defined as “A favourable juncture of circumstances or A good chance for advancement or progress”. Hence, by logic would one not be better off by not following the directives of the Mass Mindset; how could you possibly spot an opportunity when everyone is ready to act in the same manner at precisely the same moment?. Would one not be better off, if one diverged and took a different route? How could one lower’s one’s risk when one is ready to buy at a price that is in many cases double of what one deemed before (before could mean one month, one year, etc)? Why did this person not buy one year ago when the market pulled back strongly but is now willing to pay a much larger sum when the market and the stock is trading significantly higher. What happened to the concept of risk? They are forever willing to bend the definition of risk and opportunity to suit whatever perspective is taking the lead role at the moment. The solution is to spot this trait and how does one attain this goal? Well by keeping a diary; a real-time diary of how you feel when the markets are soaring and especially when they are pulling back sharply. Sit back and reflect slowly; go through all the crashes you have experienced, and you will see the above theme in action, in every single instance. There has never been an exception, and you would think by now that the masses would have finally learned something, but alas this is not to be. The masses are always willing to be used as cannon fodder and the players of Wall Street know this only too well. And you never know when that will occur exactly. A shakeout is not the same as a market putting in a long-term top. The big players need someone to sell these stocks to before they cash out. Unlike the shakeout phase, one can identify a topping phase based on market sentiment. During the topping phase, the masses remain unusually resilient when the market experiences a sharp correction; they have now been lead to believe that every pullback is an opportunity. When the masses believe this, its time to head for the hills. Case and point Bitcoin. Throughout its fall, the masses remained bullish, and despite the heavy beating it has already taken experts are still issuing insane targets even now when Bitcoin is trading below 5K, which means that Bitcoin the odds of it hitting 3K are far higher than 15K.